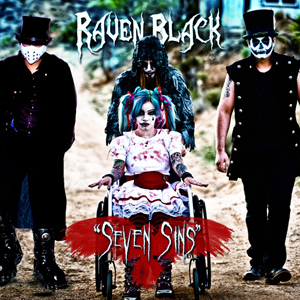 LA based Alternative Metal Band RAVEN BLACK has released the Official Music Video for their single "Twinkle Twinkle Little Scars" off of their debut EP Seven Sins, out NOW via WURMgroup. Directed Josh Apple and filmed by Andrew Spirk of Monoblocstudios.com. Watch the video now on KNAC.COM right HERE.